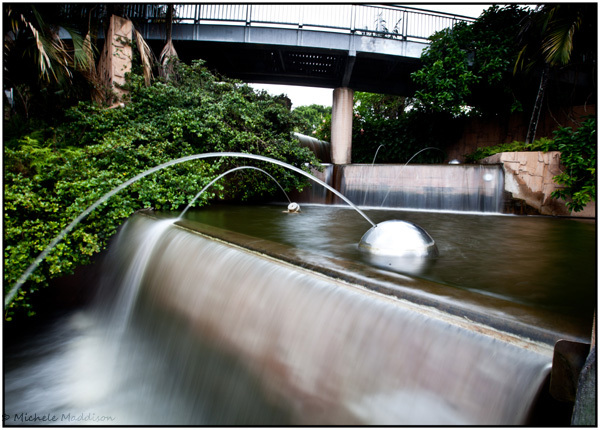 A Year Through The Lens: Day 261 – Parklands. Just to the left of dead centre CBD in Brisbane, is the Roma Parklands. Recent storms took out some of the aged trees in the park. Yet it still holds the beauty of all different flowers, water features, recreation grounds, and there is even a train that will take you around. As you walk around, water dragons take up residence on the path, catching the hot summer sun. You just have to make sure; you are both not heading in the same direction. Amongst the high rises of the city it is a great place to come chill out and switch off.